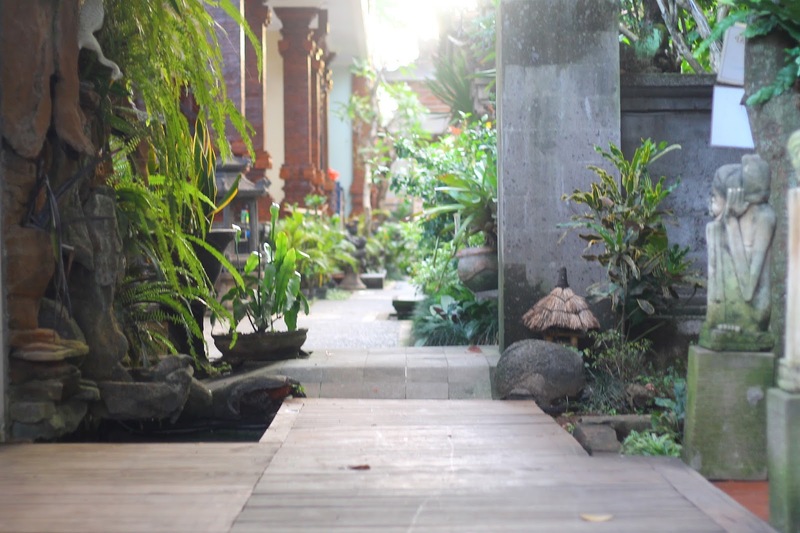 It's been a week since my Balinese adventure and yes, I still can't get over with it. If only I had all the time in the world, I'd spend at least two to three weeks just to explore the entire province and its neighboring islands! I celebrated my 26th birthday here and I really had a great time in Bali. For four days, we went temple hopping, shopped at several local handicraft stores, and immersed in Hindu culture and traditions of the island. Unlike our previous trip in West and Central Java (Jakarta, Bandung, and Yogyakarta), this one's fairly different. Upon arrival at Denpasar's Ngurah Rai International Airport, the architecture of the airport's terminal building is already telling us a story about the island's unique culture and tradition. 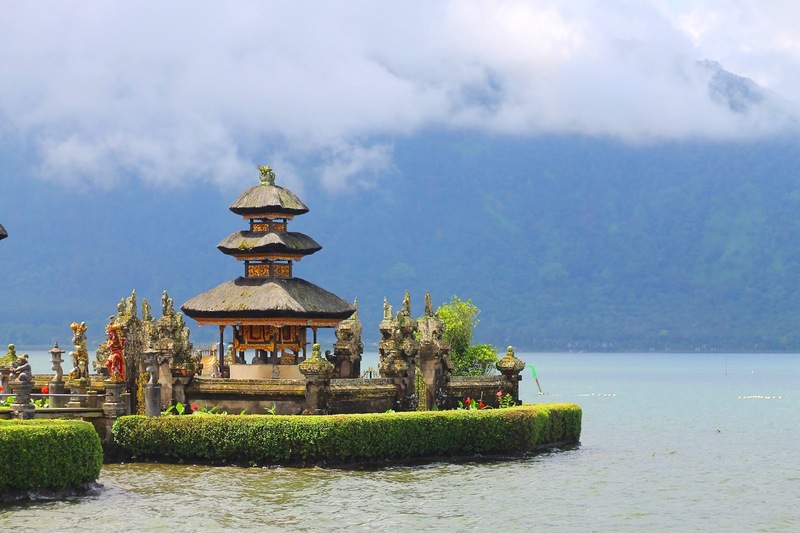 The provincial island of Bali is home to Indonesia's Hindu Minority comprising 83.5% of the total population. In Bali, cows are deemed holy and pigs are slaughtered primarily for food (see also: Babi Guling - their own version of lechon). Bali's bread and butter is tourism. 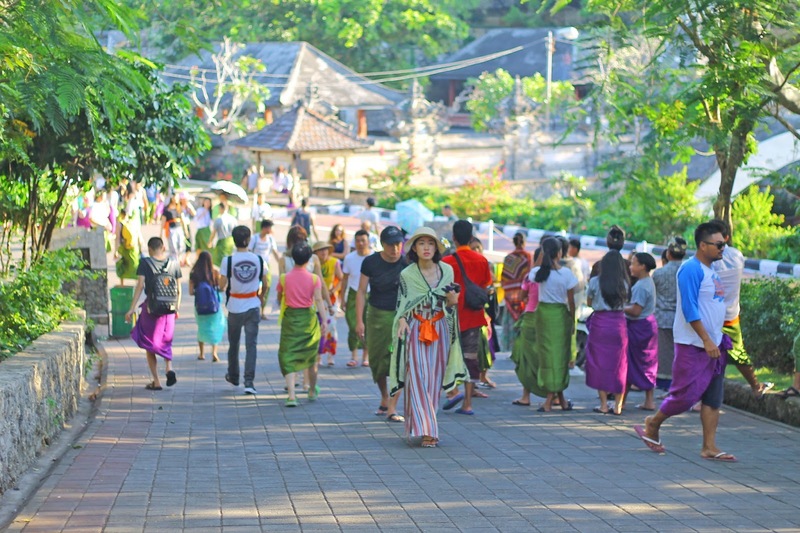 A huge portion of tourists come from Australia thus it is not surprising that we didn't experience language barrier in this part of Indonesia unlike in Yogyakarta and Jakarta. There are no railway systems in Bali however, navigating around is not that hard. There is a plethora of temples in the island, most of them offer breathtaking views of its surrounding landscape. 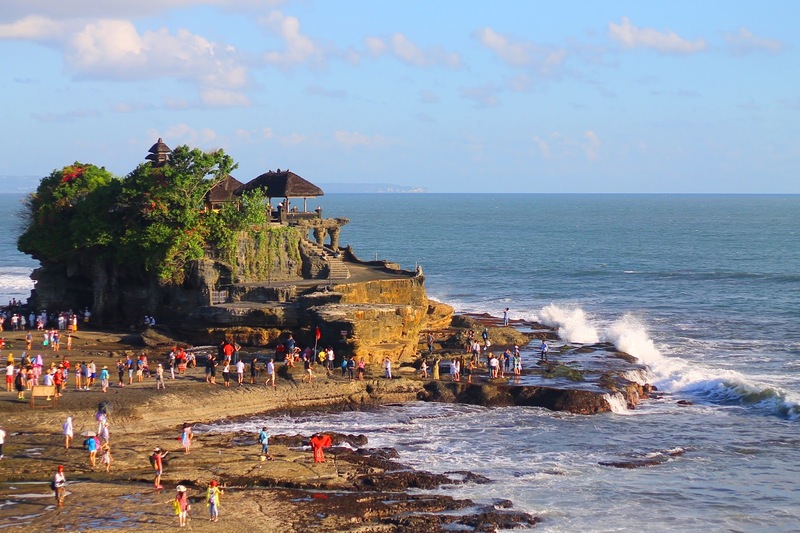 We explored the temples of Uluwatu, Tanah Lot, Taman Ayun, and Bedugul. I'm not really the most religious person in the world but I am really obsessed with temples. It's just every time I walk inside a temple complex, it feels like I am being transported back to a certain timeline. 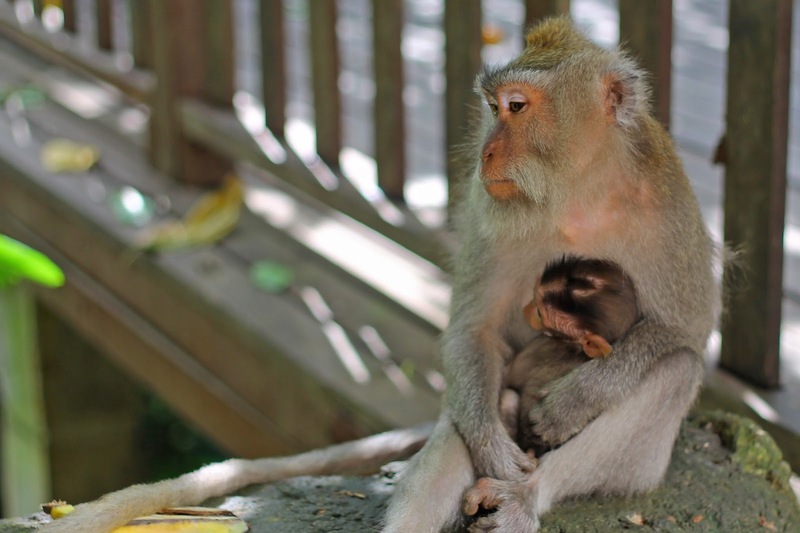 Prior this trip, I had my closest encounter with these mischievous monkeys at the Batu Caves in Kuala Lumpur, Malaysia. As we climbed 272 steps to the temple, I saw a woman who got really mad because a monkey stole her pair of sandals. She was walking barefoot under the scorching heat of the sun and kept on cursing as she went down to the entrance. 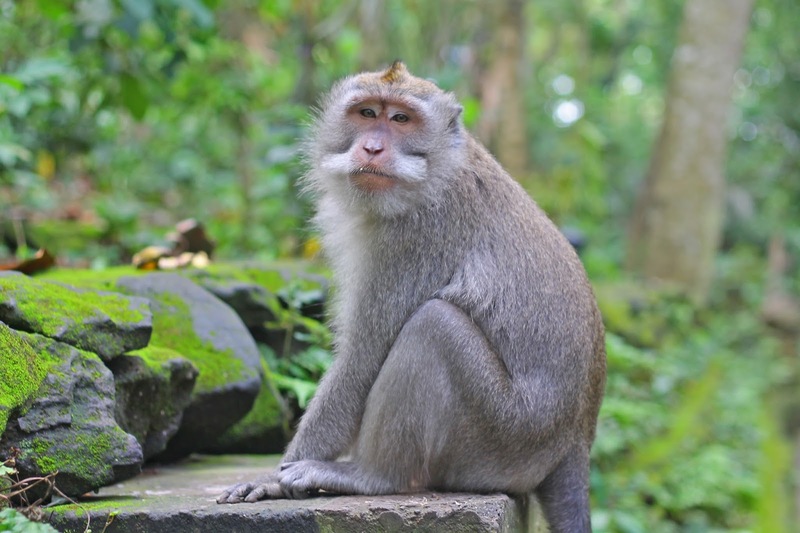 The monkeys of Ubud were no different as I saw one attempting to steal a girl's handbag - a tug-of-war between a human and a monkey. I channelled by inner monkeyness (if there's such a word LOL) and interviewed some of them. Yep, you read it right! I can't wait to share what I've learned from my newfound friends of the animal kingdom, the Humans of New York way. Ha ha! Local rice farmer at Tegalalang. Bali was indeed full of surprises. 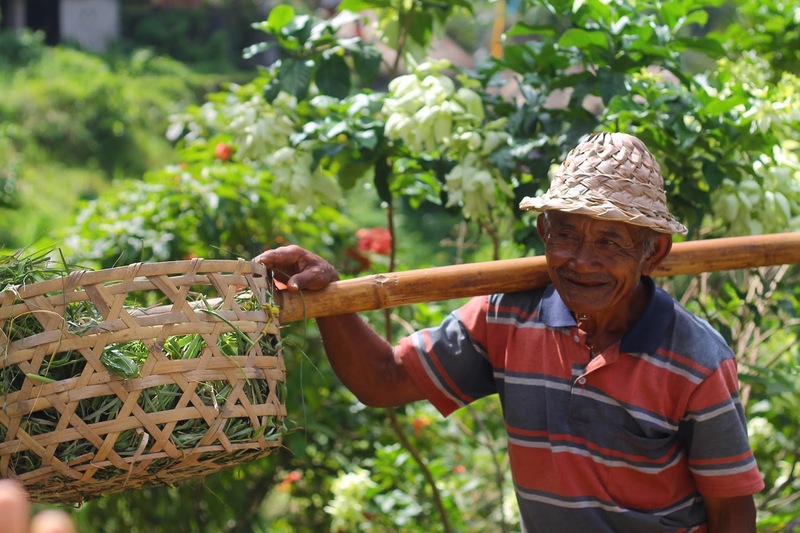 We traveled all the way to Ubud to meet up with Ketut, only to find out he died a month ago. Then on our flight back to Manila, we were offloaded and was transferred to a Philippine Airlines flight later in the evening. But everything went smoothly despite some minor inconveniences. On top of that, we were given lots of travel and accommodation benefits! I never thought I'd visit Bali this year since there are only limited flights from Manila. But then again, when an opportunity strikes (aka promo fare), you have to grab it before it's too late. I'm so glad that I spent my 26th birthday here in Bali. More so, there's no stopping me from exploring different places! This place looks just awesome.I would Love to spend some time there.The sea is wonderful. 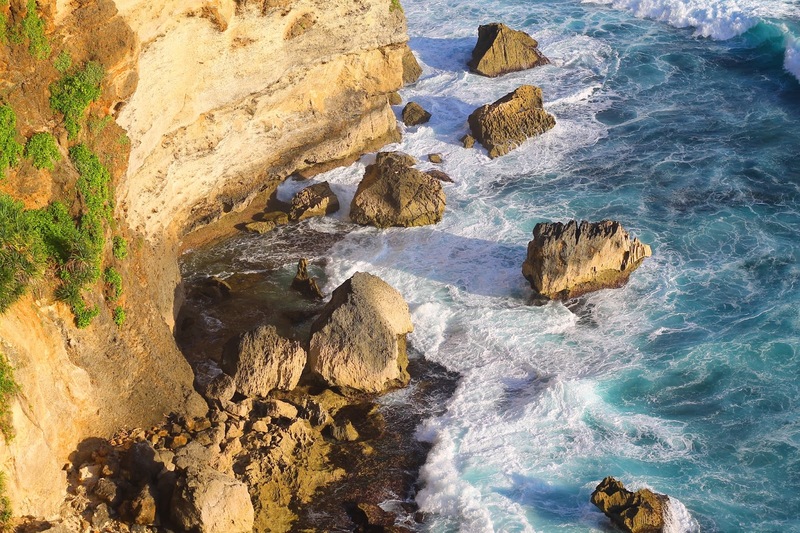 There's so much to Bali than just its beaches. They also have temples and other natural attraction. Don't be! 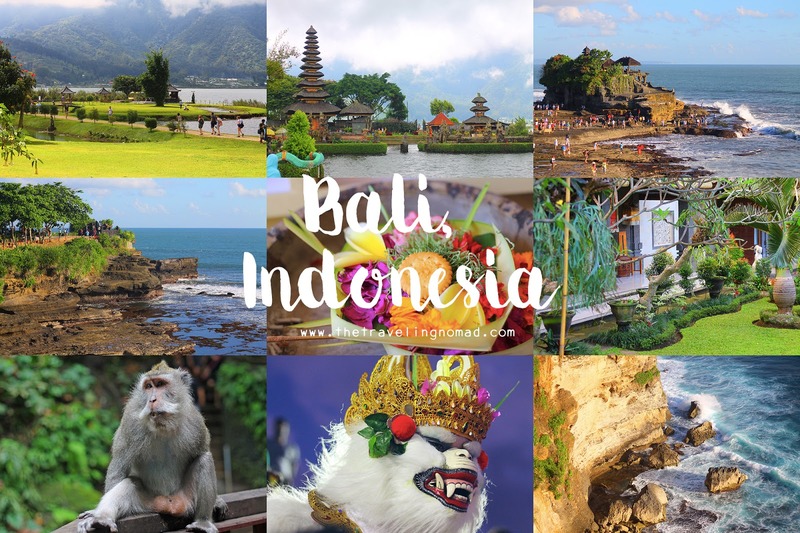 ;) Time to save up for your Bali trip! Worth every penny!